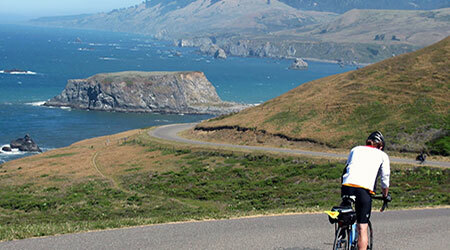 Explore the amazing diversity of Sonoma and Napa California by bike! From the crashing Pacific, through the quiet of the giant Redwood Forest and back along the rolling vineyards of the inland Valleys- there are a few challenges and many rewards. It’s a great combination of adventure, natural beauty and Wine Country relaxing! 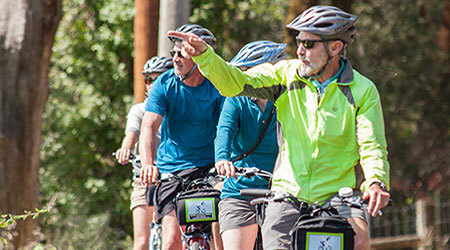 These multiday supported self-guided Bike Tours are great for intermediate to advanced riders or moderate riders looking for an e-bike adventure! 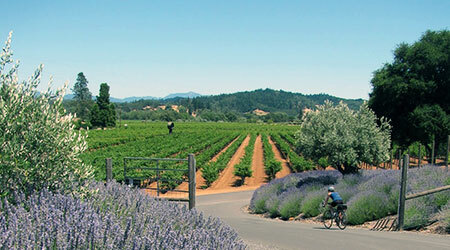 Experience the joys of a Sonoma County California bike tour and leave the details to us with one of our Healdsburg based Short Escape Bike Tours. 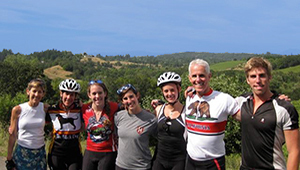 Day one is our fully guided casual "Classic Dry Creek Valley Bike Tour" followed by one or two days of Supported Self-Guided bicycle touring. It's a great combo- a day to learn about the area and get relaxed riding and then a day or two to explore on your own! 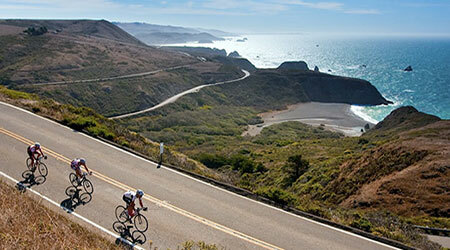 Spend a day bike touring California's Sonoma Wine Country on our famous "Classic Dry Creek Valley Bike Tour". For almost 20 years available only directly through us, this fully guided casual ride visits our favorite wineries, features a wonderful picnic lunch and is truely unforgetable. With our Trek electric assist bikes, the challenges of cycling in Sonoma County shrink, but the magic is always here. Perfect for keeping up with that fit partner or just plain taking it easier. E-Bikes are now available for rent in our touring center or as an upgrade on any of our multi-day tours. We Have Great Options for Groups! 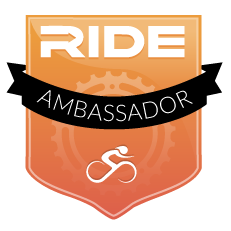 Wine Country Bikes has been selected as a Ride Ambassador for Sonoma County by Ride With GPS! Visit our Maps & Routes page to find links to all of the great routes we've developed to help you plan your own rides in our area. Self Guided Touring Made Easy! 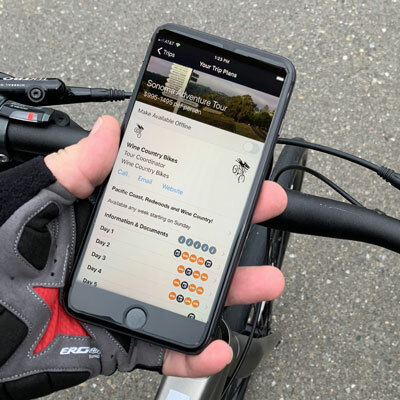 Our Trip Plans App makes it simple to access your Sonoma County Bike Tour itinerary, routes, and points of interest info right from your phone.